Set in the heart of year-round outdoor playground Lake Tahoe, WorldMark South Shore resort invites guests into a heavenly holiday world of lakeside luxury nestled amid snow-capped mountain vistas, incredible outdoor recreation and big-city style entertainment. 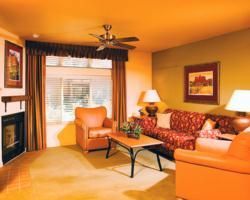 Rent or purchase a premier four-season Lake Tahoe timeshare close to fantastic swimming, fishing, golf, dining, skiing and snowmobiling at incredible prices when you choose from our outstanding array of Nevada timeshare resales. 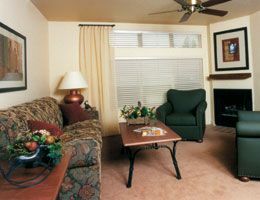 Overlooking the snow-shrouded Sierra Mountains, WorldMark South Shore features beautifully appointed one-, two- and three-bedroom bedroom condominium suites feature all the comforts of home, including washer/dryer and dishwasher. Whip up a hearty meal in the fully equipped kitchen or on the electric barbecue, sit back and enjoy your favorite cable TV shows or relax with an evening cocktail on your own private balcony or terrace. Cozy gas fireplace offers an inviting place to gather after invigorating autumn hikes or thrilling winter days of skiing and snowboarding. 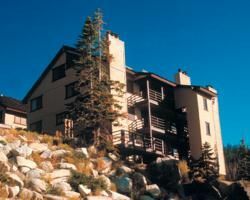 Blending beautifully into dramatic mountain landscapes more than 6,000 feet above sea level, this incredible Lake Tahoe timeshare is loaded with amenities for year-round family fun. Float in the sparkling waters of the outdoor pool and relax in two outdoor spas in summertime or enjoy picturesque cross-country ski trails in winter. Kids will never be bored with on-site entertainment including outdoor children’s pool, arcade game area and clubhouse, while grown-ups can stay fit in any season at the state-of-the art fitness center and along scenic biking and hiking trails. 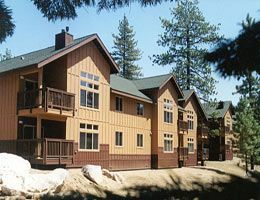 Lovely Lake Tahoe is all about getting outside and having a blast, and this top-notch Nevada timeshare is right in the heart of all the best lake and mountain outdoor recreation. Head out onto the lake for water skiing, swimming, boating and dinner cruises, or stroll down to the beautiful sandy shoreline at Nevada Beach State Park. This legendary lake is also a unique and excellent scuba diving location featuring excellent wall diving with between 60 and 100 feet of visibility. Tahoe’s winter wonderland brings sleigh rides, skiing, ice-skating and snowshoeing, with evenings perfect for snuggling by the fire. Incredible historic and natural attractions surround WorldMark South Shore. Thrill to incredible alpine views at the Gondola at Heavenly or spend a glamorous night at Stateline’s casinos. Once home to heiress Lora Josephine Knight, stunning Scandinavian Vikingsholm castle is the centerpiece of Emerald Bay State Park, also site of Eagle Falls and Fannette Island, the only island in Lake Tahoe. Roam the 74 acres of the Tallac Historic Site to experience life in the magnificent summer estates fringing the lake at the turn of the century, or enjoy the fascinating exhibits of the Nevada State Railroad Museum in Carson City. Book your Lake Tahoe timeshare week to coincide with colorful local festivals, including the many farmers’ markets and craft fairs of the summer months and October’s exuberant OktoberFest and Kokanee Salmon Festival. The holiday season lights up the shoreline and mountains with parades, festivals and the notable Tahoe Adventure Film Festival. Treat yourself to the vacation of a lifetime every year at WorldMark South Shore. A dream getaway on enchanting, exciting Lake Tahoe is yours at an incredible deal when you purchase a Nevada timeshare on the resale market, where bargains abound on resorts in some of the world’s most desirable destinations. Contact WorldMark South Shore Specialist Today!